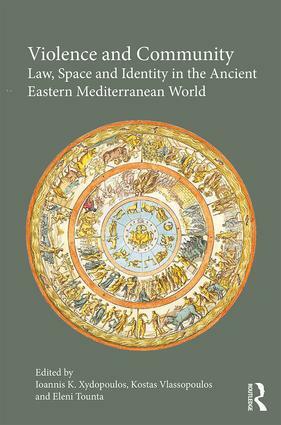 Prof. Xydopoulos’s most recent published work. Prof. Vaia Touna, who organized this event, grew up in Thessaloniki and attended Aristotle University for both her undergraduate and graduate studies. She was also a participant in the Alabama-Greece Initiative at its start, teaching courses in Greek and Religious Studies. Prof. Touna will guide Prof. Xydopoulos in a tour of the University and surrounding area before he offers a public lecture titled “Macedonia from the 8th-6th c. BCE: Myth, Literary Sources, and Archaeology.” Xydopoulos’s work in the Department of History and Archaeology at Aristotle University complicates myth-making and identity formation with a focus on Ancient Macedonia. His presentation on Wednesday will explore this relationship between the past and present. The Department looks forward to hosting Prof. Xydopoulos and continuing its involvement in the Alabama-Greece Initiative. 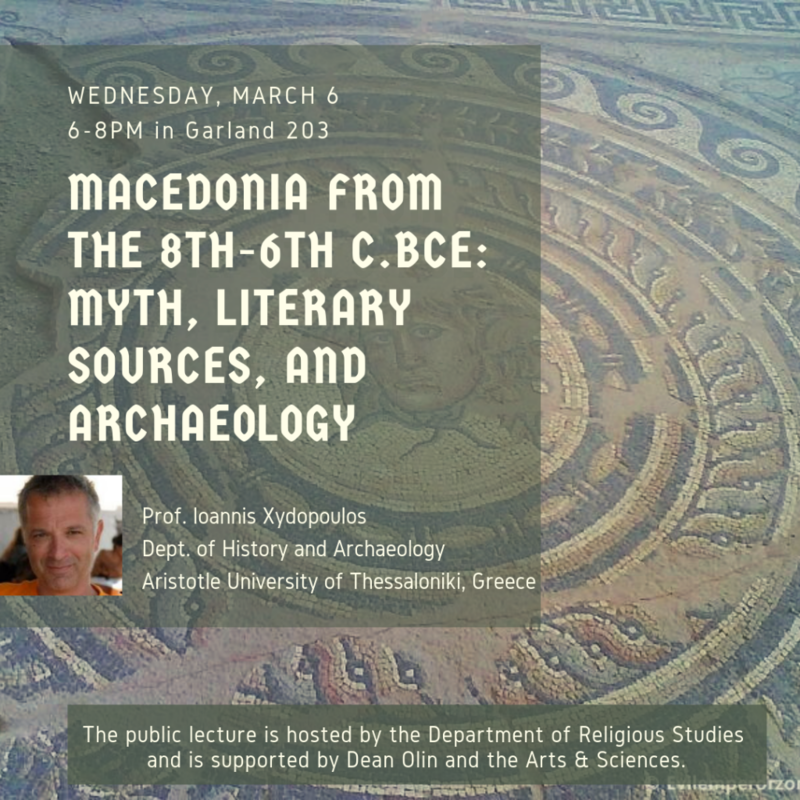 Stop by Garland Hall 203 at 6 pm on March 6th to attend Prof. Xydopoulos’s lecture. This entry was posted in Faculty Blog, Public Events, Relevance of Humanities, Religion in Culture and tagged Alabama Greece Initiative, Ancient Greece, archaeology, Aristotle University, Critical Thinking, Greece, History, Humanities, Macedonia, Myth, Mythology, Public Lectures, Relevance of the Humanities, Religion, Religion in Culture, Religious Studies, research, Thessaloniki, Vaia Touna by Morgan Frick. Bookmark the permalink.